Producer reveals reasons why bringing back actors for a 17 year old series will not happen. No doubt there are many problems to be overcome when producing a game like Tekken Tag Tournament 2, Namco Bandai's fighting tournament game. The franchise is 17 years old and counting, and its fans are the persistent type. There is no storyline as such, but everyone who plays has their favorite fighter, and with fandom comes requests - or as producer Katsuhiro Harada describes it, a never ending stream of "bring back the voice actor I've grown to love" demands. These requests would seem to have irritated him somewhat, and he went on a lengthy twitter rant to tell the world why it just isn't happening. "There are so many characters," he said, "and we can't keep using the same voice actors every time, for a variety of reasons." Some have retired, for a start, while others weren't the voices fans thought they were. Several characters were actually an amalgam of half a dozen or so different actors, supplying laughs, shouts, catchphrases and so on. There are also technical limitations to using the same data from past fan favorite games. "The compression rate, as well as the sound rate, is different today," Harada explained. "Are you playing games on the same TV you used 16 years ago? What about your speakers? Headphones? They are all the same as 16 years ago?" It doesn't help that, when Namco Bandai goes out of its way to recreate the voice acting of past fighters, the fans don't seem to appreciate it. "WHAT?" Harada exclaimed, "you say some of the voices sound like they haven't changed at all? I guess you didn't notice that the development team has re-recorded them, but made efforts for it to sound as close as possible to the original. And you probably didn't even notice." 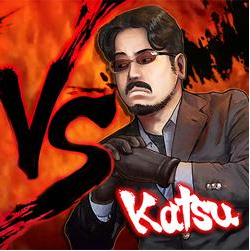 Harada's meltdown is fairly epic, but there is a serious point behind the raving. Fan requests can be perfectly reasonable, and as Harada himself said, "I will continue to sincerely comply with fan requests." However some things just aren't possible and fans should be aware of that going in, rather than flooding the developer's email inbox with requests, demands and invective. "After this lengthy explanation, I will be quite surprised if there are still people who still don't get it," Harada concluded. "Thanks for understanding or not understanding. Whatever."